In September 1975, the first issue of tech magazine Byte hit newsstands in America. While it would be mildly influential for at least the first decade of its existence, I'm not bringing it up today for its editorial content. I'm bringing it up for its awesome covers. 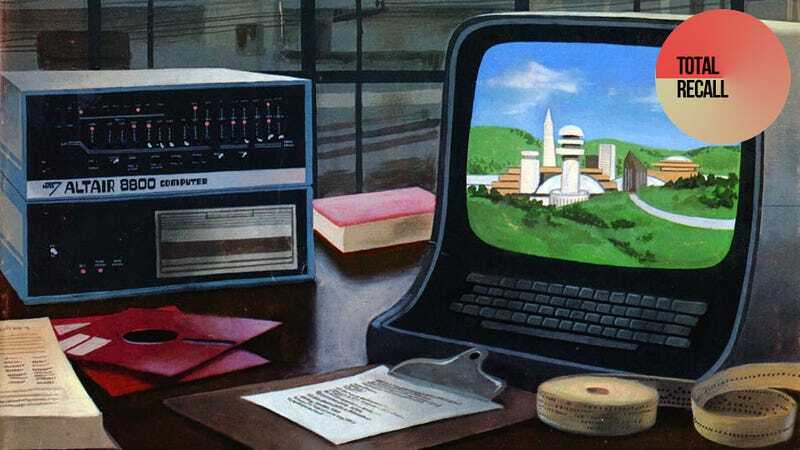 The world of computers in the 1970s was the Wild West. There was no time or need for such trivialities as graphic designers or art teams. You had some guy (or girl!) draw something for the cover, or take a photo for the cover, and on it went, even if it looked awful. And some of these, many of them featuring gaming art, look awful. But then, that's half the charm. Others? Others, like July 1977's "Byte Railroad", actually look pretty impressive! Byte's name actually lives on today, as a tech website running as Byte.com. Sadly, its visual identity does not include illustrations of 1970s video games.